The American Land Title Association (ALTA) created the Homeowner Outreach Program (HOP) to help ALTA members easily communicate the benefits of owner’s title insurance with homebuyers, Realtors® and others. Use our more than 60 convenient resources below whenever you are communicating with homebuyers, Realtors®, and your other real estate clients about the benefits of owner’s title insurance. For assistance with the Homeowner Outreach Program (HOP), or to request a training in your state/at your company, please contact ALTA at 202-296-3671 or communications@alta.org. 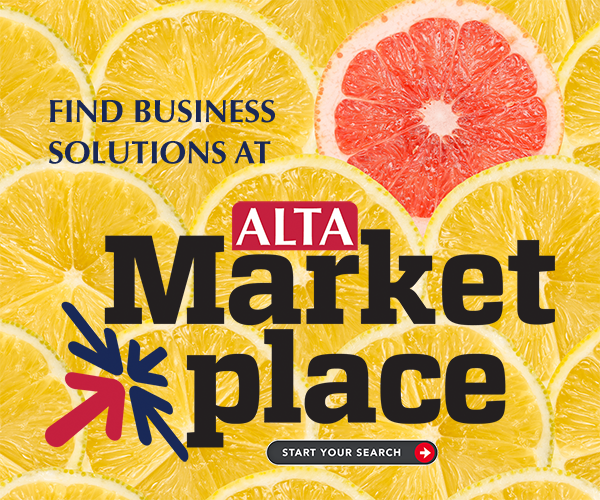 This overview is designed to give ALTA’s members a glimpse of the more than 60 marketing resources available for direct-to-consumer communication in your own area. Use these easy-to-use and professionally-designed templates for all your homebuyer communications and presentations. HOP Leader trainings are designed to help ALTA members like you build relationships with homebuyers, lenders and real estate agents and connect with them earlier in the transaction. As a HOP Leader, you can use these new strategies and tools to help grow your business and also advance our industry by sharing your knowledge at industry events. For more info, email communications@alta.org. Link to this website on your own company website to educate consumers about the benefits of owner’s title insurance and what to expect during the closing/settlement process. Hubspot estimates that 90% of video users say that video is helpful in the decision process and that when included in email video leads to a more than 200% increase in click-through rates. As our industry works to better explain our benefits to consumers, real estate agents and mortgage lenders, ALTA hopes these videos save money for our members and serve as a new resource in their marketing and education efforts. Videos can be linked to from ALTA's YouTube Channel or directly downloaded from the HOP Video Library. ALTA launched ALTAprints.com to help ALTA Members can Brand, Download, and Print their own Marketing Collateral as a ALTA Member Benefit. www.ALTAprints.com allows ALTA members to easily customize more than 60 HOP resources, download modified digital files for free or order discounted print products for use in their local market. Simply use your ALTA ID and password to login to www.ALTAprints.com and get started today. For all of your Online Consumer Advertising Needs. Use these Digital media advertisements, social media content, blog posts, social media dictionaries and more with homebuyers and your real estate clients via web, email or on social media. Creating impactful digital content can be difficult and time consuming. But HOP's digital version of ALTAPrints makes it easy! With HOP's digital marketing material, you can customize and download multiple sizes in minutes. Educate early and often! Use these customizable letter and email templates to build relationships and deeper confidence with prospective and current Homeowners. Use these customizable PowerPoint presentations in the marketing and sales process with Homeowners. Check out the "notes" section of each PowerPoint for tons of education tips, content and more. These five translated HOP pieces are among the most popular in the Homeowner Guide. All the Homeowner Guide Resources are an exclusive ALTA member benefit. ALTA member companies have full permission to replace the ALTA logo and insert their own company logo on any of these documents. Use our resources in this section to learn how. Use these printer-ready rack cards, one-page marketing pieces and customizable PowerPoint presentations to train your Realtor clients on the benefits of an owner’s title insurance policy.